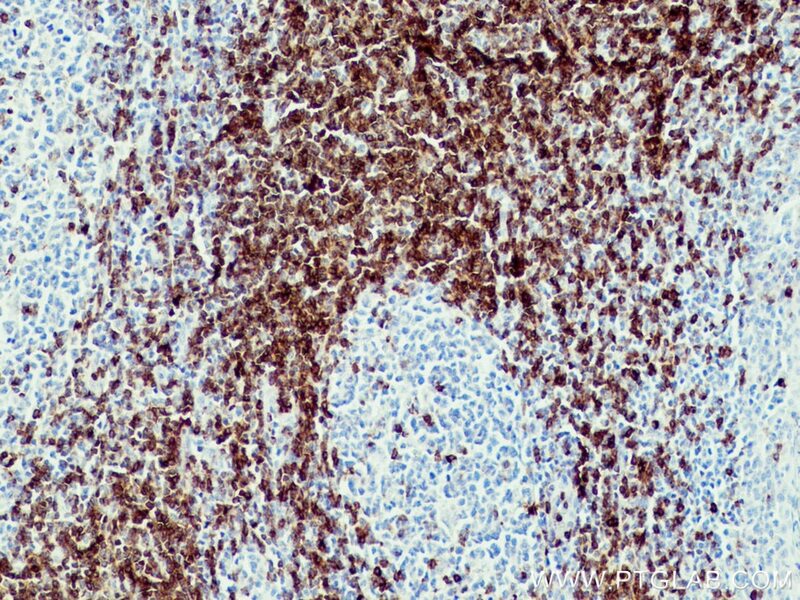 Immunohistochemical analysis of paraffin-embedded human appendicitis tissue slide using 60209-1-Ig (CD7 antibody) at dilution of 1:3200 (under 10x lens) heat mediated antigen retrieved with Tris-EDTA buffer(pH9). 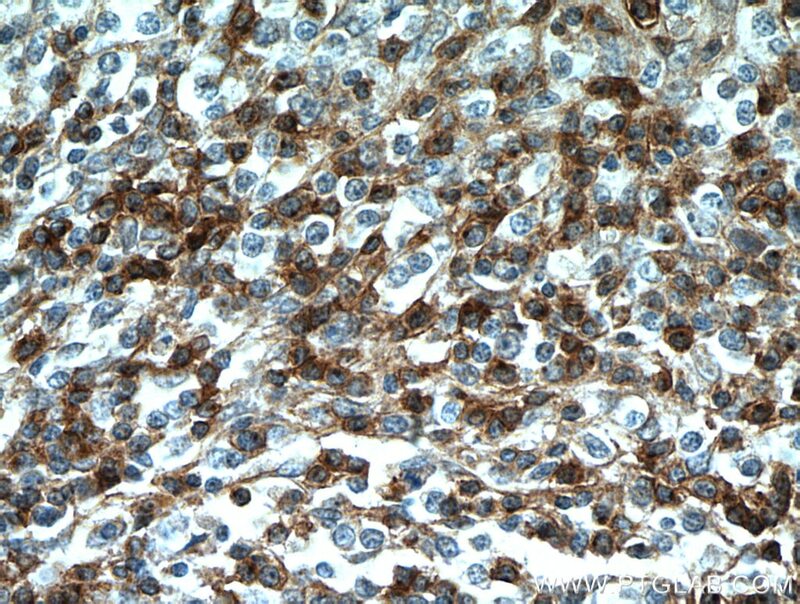 Immunohistochemical analysis of paraffin-embedded human appendicitis tissue slide using 60209-1-Ig (CD7 antibody) at dilution of 1:3200 (under 40x lens) heat mediated antigen retrieved with Tris-EDTA buffer(pH9). 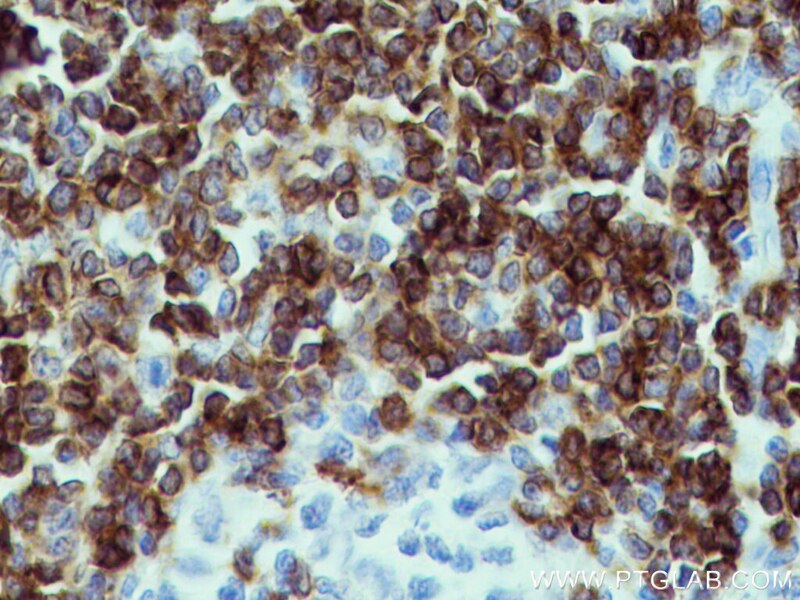 CD7 is a 40 kD type I transmembrane glycoprotein expressed on thymocytes and mature T cells. 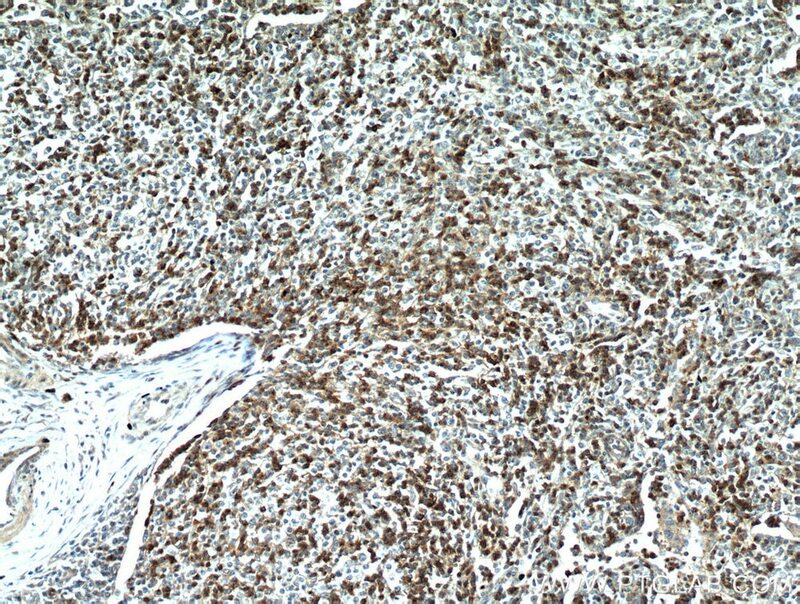 It is the most reliable clinical marker of T-cell acute lymphocytic leukemia. 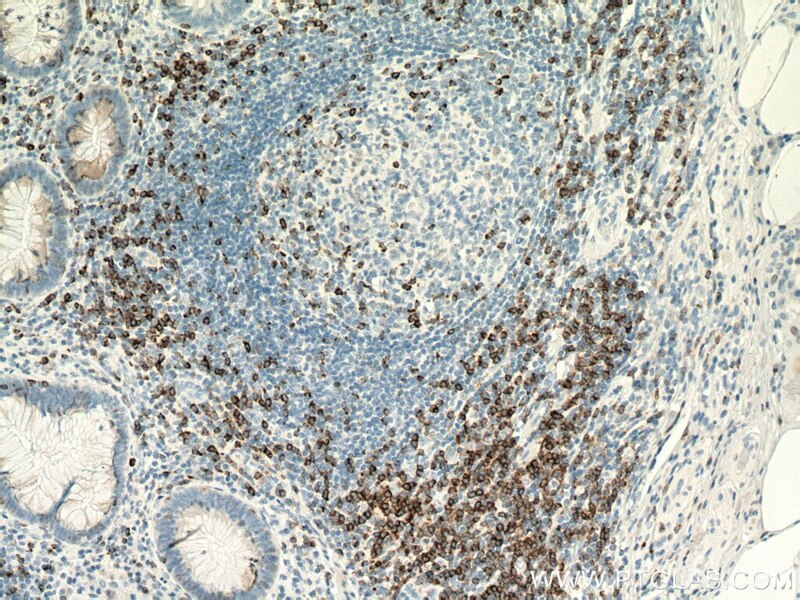 Immunohistochemical analysis of paraffin-embedded human tonsillitis tissue slide using 60209-1-Ig (CD7 antibody) at dilution of 1:1600 (under 10x lens) heat mediated antigen retrieved with Tris-EDTA buffer(pH9). 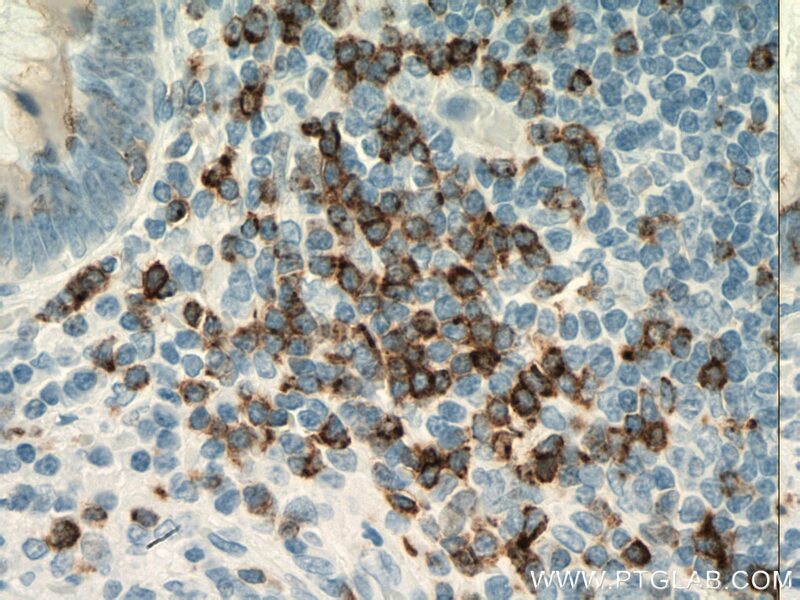 Immunohistochemical analysis of paraffin-embedded human tonsillitis tissue slide using 60209-1-Ig (CD7 antibody) at dilution of 1:1600 (under 40x lens) heat mediated antigen retrieved with Tris-EDTA buffer(pH9).